Last week, I talked a lot about the difference between conventional and natural deodorants, and the practicalities of making the switch (missed that post? check it out here!). 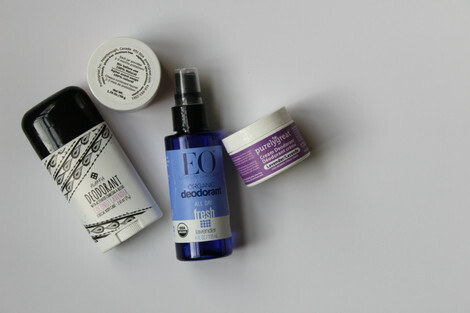 Because I want to make this transition as easy as possible for you, this week I’m writing a review of a few natural deodorant products I have personally tested! I have done all the research, read all the reviews, and used each of these products for 30 days or more so you can feel confident when you go to make your choice! The first product I tested when making the switch to natural deodorants came from Purely Great, a small family run business in Canada! Now I will admit, when testing this product I was not aware of the detox phase I wrote about here. When I started experiencing the discomfort associated with this transitory phase, I was too quick to give up on the product. BUT Purely Great was absolutely amazing, and they sent me all the information I needed about how to get through the detox phase in one, strong piece. Below is my review of Purely Great and two other natural deodorants (in the order I tested them). Besides being natural, Purely Great is also completely vegan friendly and cruelty free! And the packaging is eco-friendly and recyclable. So many points. The product is truly “stain free” as it claims— it won’t leave white streaks on your black shirts nor will it cause discoloration in armpits of your white shirts like many commercial antiperspirants. With a wide variety of scents in both women’s and men’s deodorants, you’re sure to find something you can get on board with (I like the citrus and adore the lavender). Afraid to commit to a scent (or to natural deodorants, in general)? I feel ya, and they do too! Take advantage of their “try before you buy” free sample offer for just $1.99 shipping. They also offer a complete money back guarantee on all of their products (not that you’ll be needing it). I found that their “one time per day application” promise rang true unless I went to the gym (which is pretty standard in the conventional deodorant world, but I have found other natural deodorants that last even through a tough workout). Application is also a little on the messy side. 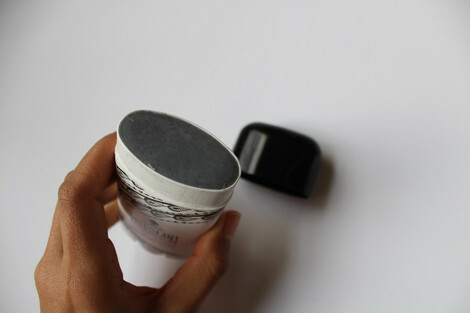 The little stick it comes with gets buried in the cream, so you have to fish it out in order to stir the deodorant before each use. You can then apply with the stick, but I just used my finger because it proved to be much quicker and easier. All of this really is no big deal, but it is low on the “convenience” factor for a rushed morning or a post-gym reapplication. This deodorant is also the most pricey of the three I am reviewing today, costing $12.99 plus $8 shipping and handling. Their “family pack” allows you to pay $45.95 for any four products (and receive free shipping and handling), but that still only brings the price down to about $11.50 per container. Quick and easy spray application feels more like you’re using perfume than deodorant! It smells absolutely heavenly and truly leaves me odor free all day. It’s packaged in a recycled bottle, and (because it’s liquid) it’s ingredient list is really simple. EO is also on the cheaper side, at $6.99 for a 4 fl oz bottle (which will last you months). For the rest of February, they are offering free shipping, so get on it while you can! While it works well on odors, I found that I would still get damp with sweat throughout the day. 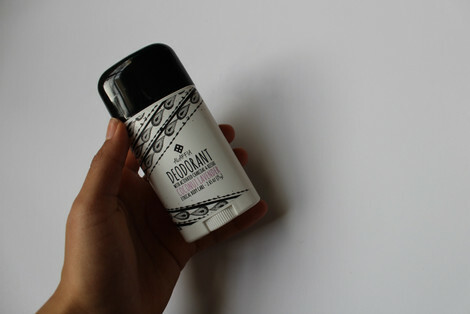 Overall, this deodorant seemed to work better for me as a “refresher” than as a reliable all-day product. Ingredients: reishi mushroom extract, activated charcoal, aloe vera leaf juice, certified fair trade shea butter, coconut oil, neem oil, coconut extract, lavender oil, emulsifying wax, water, phenoxyethanol, glycerine, sodium stearate, saccharomyces ferment, zinc ricinoleate. 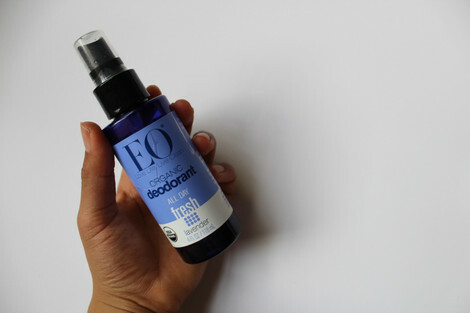 This is by far the best natural deodorant I have tested, and it receives my full seal of approval! One application in the morning leaves me odor free and dry for an entire day, no matter how many times I hit the mat or the gym. I can only attribute this to its unique ingredients— especially to the activated charcoal, which both neutralizes and prevents odor, helping my body to smell naturally fresh (even when I don’t apply deodorant, no joke). It is also the cheapest of the three deodorants i”m reviewing, pricing at $5.99 a tube. Their commitment to no animal testing is like the cherry on top, and nothing beats the convenience of a roll on stick applicator! Alaffia is a seriously amazing brand, no doubt about it. As if making a safe, effective product isn’t enough, Alaffia is out there doing some serious good in the world. Sales fund empowerment projects in Africa centered around education, maternal health, FGM eradication, eyeglasses and reforestation. The brand’s goal is to alleviate poverty, encourage gender equality, and ensure that African resources empower African communities (hence the use of African oils and fair trade she butter). Learn more about their impact here. Shipping is $9.95, almost twice as expensive as the actual product, which is a real bummer. I suggest trying to find a store near you that carries the deodorant to help cut down on the cost (and environmental impact of shipping!). Some may carry other Alaffia products (like shampoos and lotions), and even if they don’t sell deodorant in store you should be able to get them to order it for you if you’re willing to buy a few at a time. When I started this product sampling journey, I was kind of expecting to test hundreds and hundreds of deodorants. I even still kept my commercial antiperspirant around, as if I didn’t quite have confidence in the abilities of a natural alternative! What I found instead is a world of products that I can actually trust. And with my discovery of Alaffia, I know my search for the perfect natural deodorant is over! So no, I won’t be bringing you any more natural deodorant reviews. But that’s good news, right? I’m completely satisfied with my new deodorant, and I’m convinced that you will be too. Read my last blog post, The Quick and Dirty on Natural Deodorants, to find out more about making the switch for yourself! Curious about a natural product but nervous about making a commitment? Let me know– I’ll be your guinea pig and throw up a review in no time!